The next town over from the Big Pine Paiute are the Bishop Paiute Tribe, in Bishop CA. 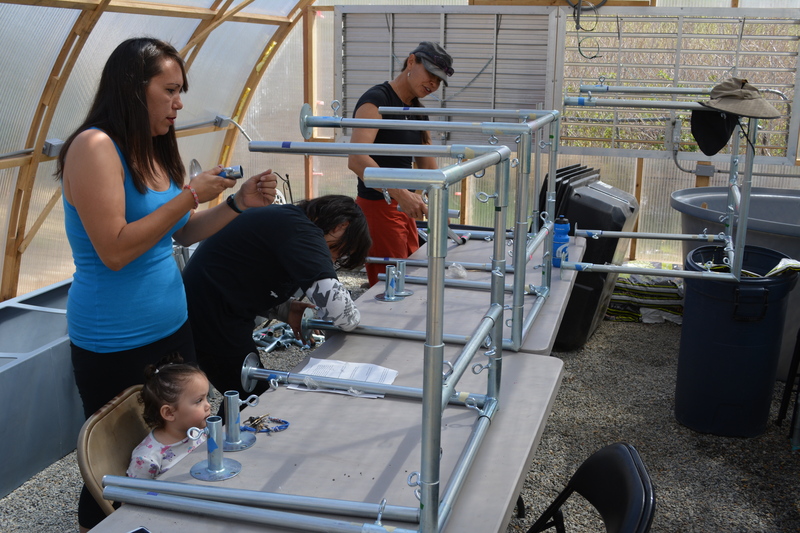 With 2,000 enrolled members, they are the 5th largest tribe in CA, headquartered on an 875 acre reservation at the foot of the East Sierra Nevada Mountains. 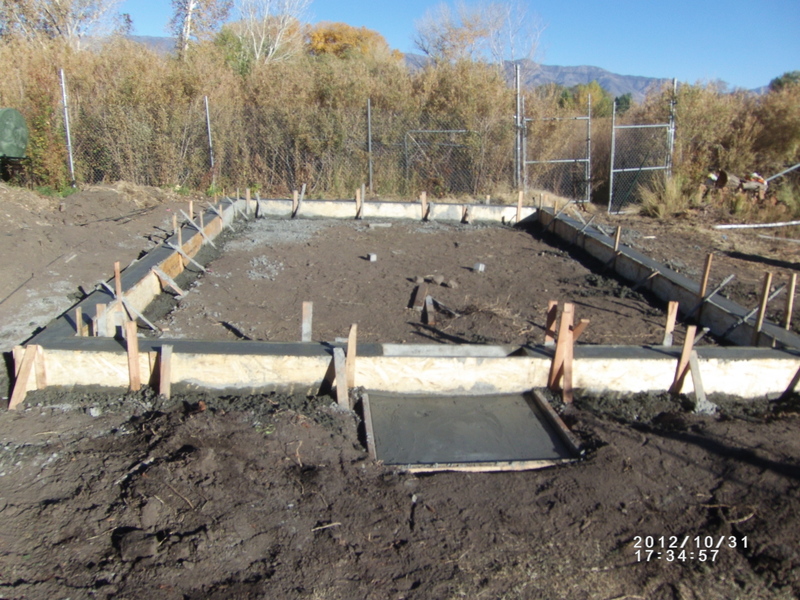 We met with Keith Glidewell, a project coordinator for the Owens Valley Career Development Center’s Tribal Temporary Assistance for Needy Families (TANF) , and the coordinator for the Elders Community Garden and aquaponics project behind the Bishop Tribal Elders Building. 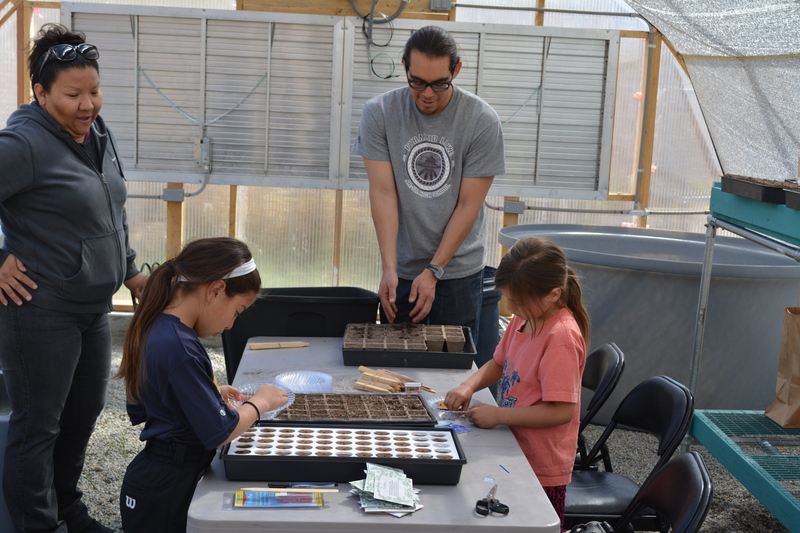 Keith described his job as writing programs that assist families and support local community issues, like food security, food sovereignty, and food preservation. Keith realized that in a “resort town like Bishop,” healthy, pesticide-free, locally grown food is often not affordable for tribal members. 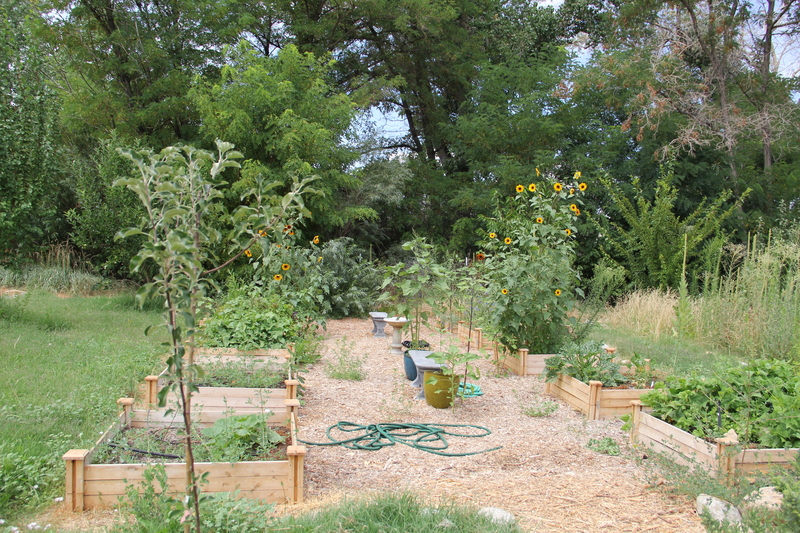 So first he established the garden behind the elders center, leveling the ground, building raised beds and creating woodchip walkways through a series of community events. The food from the garden was then utilized in the kitchen at the elders’ center. As we discussed in the Big Pine Paiute post, water is scarce in this region, and was becoming less available to irrigate the garden. Keith had been irrigating from the local creek, but that would periodically dry up. He also began thinking about how to grow food in the wintertime. 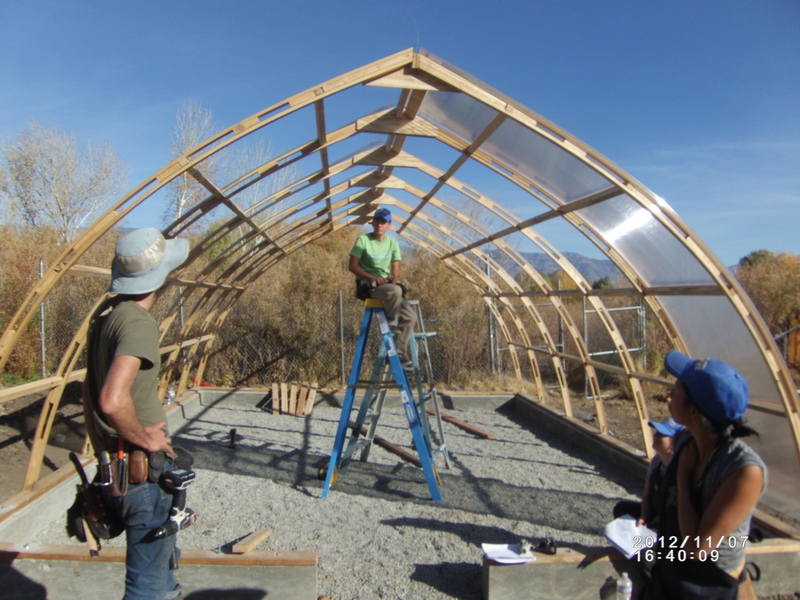 With the help of the Toiyabe Indian Health Project’s Preventive Medicine Department, they were able to establish a greenhouse. 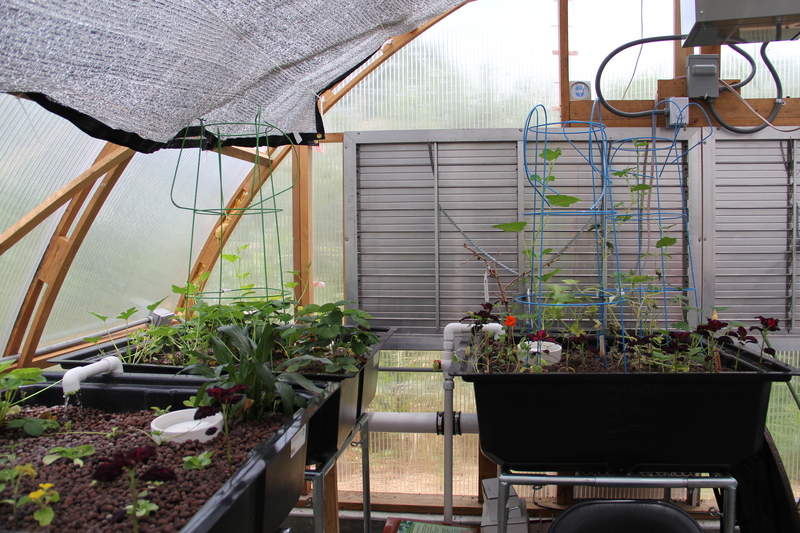 Inside the greenhouse, inspired by Sylvia Bernstein’s material, Keith decided to set up an aquaponics growing system, that would keep water within a closed loop. 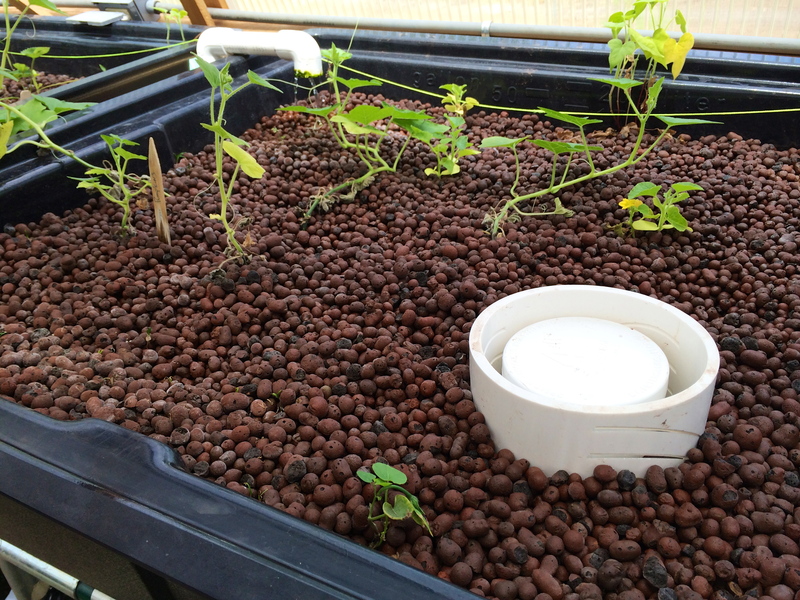 A pump pulls water from the fish tank and pours it into beds filled with porous clay balls. 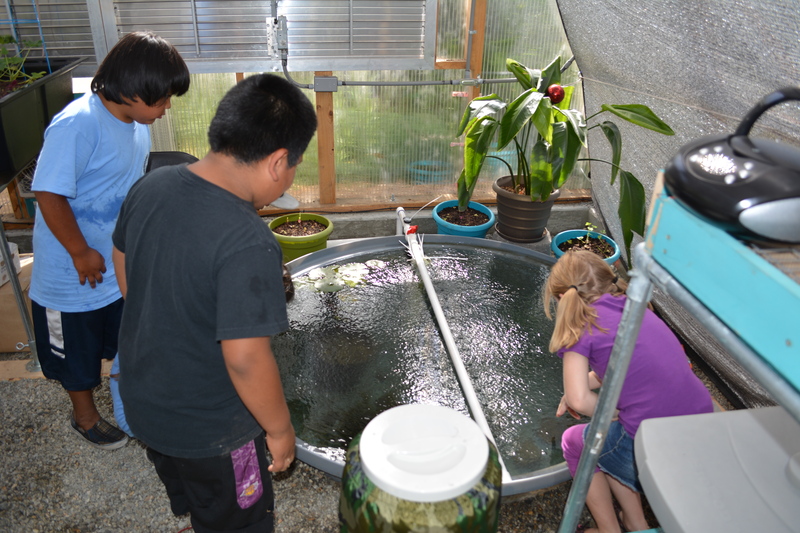 After they fill, the nutrients from the fish waste nourishing the plant roots, bell siphons drain the water out and send it back to the fish tanks. It is a symbiotic system; the fish bi-products are broken down by nitrogen-fixing bacteria into nitrates and nitrites, which are then utilized by the plants as nutrients. The fish in turn are not poisoned by their own waste, an issue in aquaculture. 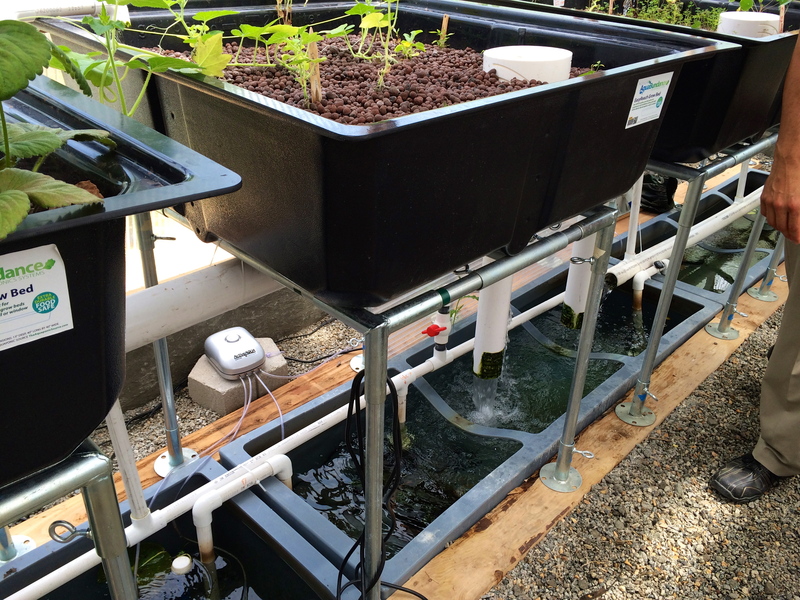 Because the water is constantly recirculating, aquaponics systems use 1/10 the water of comparable soil based gardening. 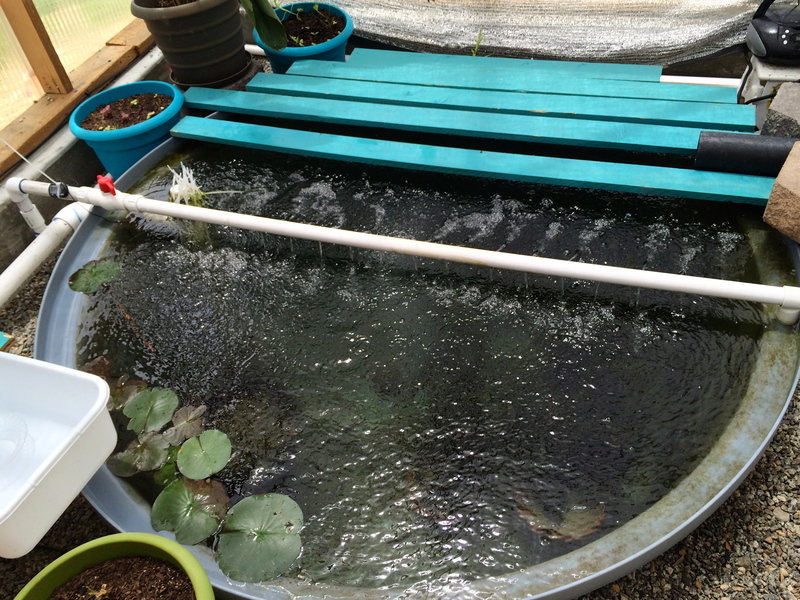 The project is raising tilapia because they’re a hardy fish variety. Brown trout are a popular local variety, but they prefer cold water (around 50 degrees) and are very sensitive to swings in the ph of the water, and so all of the trout that they initially tried in the tanks died right away. 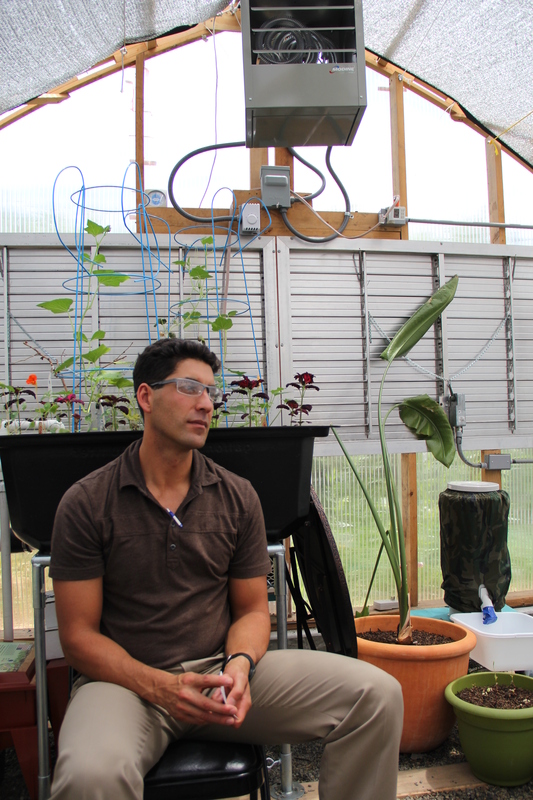 Tilapia are the fish of choice for most aquaponics projects because they can tolerate swings in ph and temperature. One of the main challenges in starting this new project has been getting the necessary work done while creating an environment which is safe and organized for families and elders to help with the gardening and the fish. 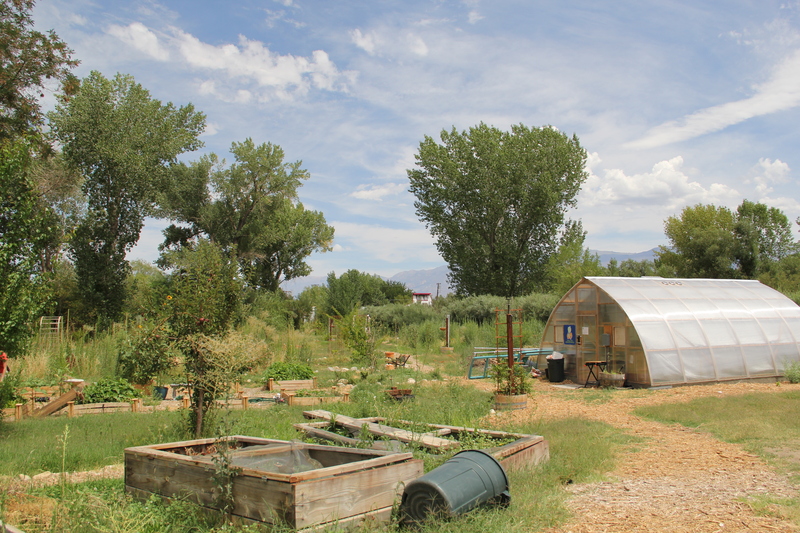 Keith acknowledges that people like the idea of community gardens and locally grown food, but sometimes recruiting labor can be difficult for jobs like digging trenches, hauling rocks, installing irrigation systems, and pulling weeds. In planting 50 fruit trees on the site, he rented an auger to dig the holes (which would have been difficult for elders), and then had them assist with placing the trees into the holes. 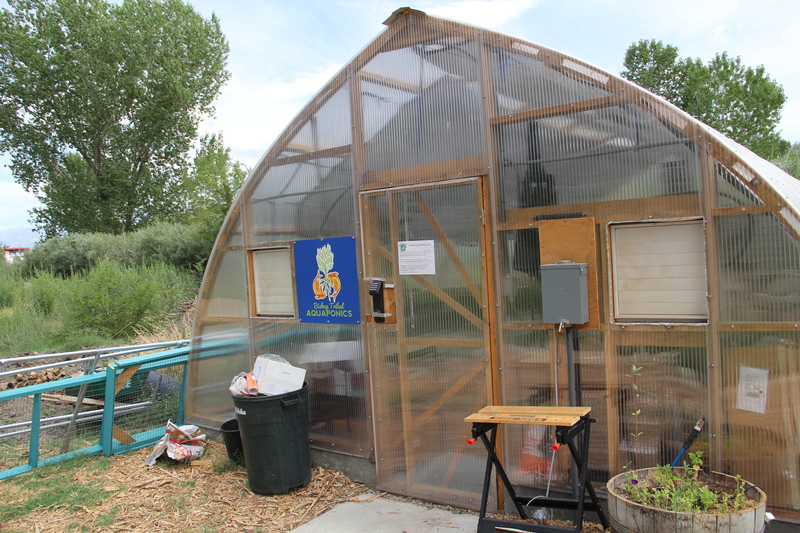 But the aquaponics project, only in its first year, has proven to be popular with the community as an efficient and interesting means of producing food.